In order to encourage participation in online communities or other informal learning settings, and to facilitate users’ professional development, a “badge” system offers recognition of an individual’s achievement and contributions. Photo Credit Manada Torak-Renn, flickr creative commons. Badges are a mechanism to award ‘micro-credits’ online. They are awarded by an organization for an individual user, and can be either internal to a website or online community, or use open standards and shared repositories. In open online learning settings, badges are used to provide incentives for individuals to use our resources and to participate in discussion threads. For example, a user might earn a badge for every ten clicks on blog posts, or for contributing to a discussion thread, or for uploading a video or document, or for completing a course. The number of badges can be displayed on the user’s profile and serves as an indicator of that individual’s level of expertise. Open standards for badges allow users to collect these tokens from different places, curate them in one profile, and share them on social media or in various web environments. Though my personal Mozilla badge backpack and cred.ly account only have few sporadic entries, I have always been fascinated by the concept of documenting informal and lifelong learning. Especially for institutions that cater to non-traditional learners, badges are a promising tool to offer credentials. The IBM skills gateway is an example of how open badges can be leveraged to document professional development. EDUCAUSE microcredentialing program offers 108 digital badges in five categories (community service, expertise development, presentation and facilitation, leadership development, awards). The concept of badge-based alternative credentialing initiatives started in 2011, when Mozilla announced the launch of its Open Badge Initiative and “Digital Badges for Lifelong Learning” became the theme of the fourth Digital Meaning & Learning competition, in which over 30 innovative badge systems and 10 research studies received over $5 million in funding between 2012 and 2013. Standardization is the key to creating transferability and recognition across contexts: Open Badges communicate skills and achievements by providing visual symbols of accomplishments linked to verifiable data and evidence that can be shared across the web. 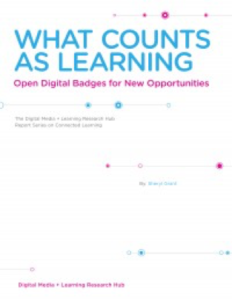 Learning outcomes signified by badges can be displayed in an e-portfolio or on web sites and are highly transportable to social media sites (Gibson, Ostashewski, Flintoff, Grant, & Knight, 2015). A first version of the open badges standard was launched by Mozilla in 2013. In 2018, the new Open Badges 2.0 standard was released under the stewardship of IMS Global Learning Consortium. In an exploratory study, Carey and Stefaniak (2018) conducted interviews with individuals leading digital badge initiatives in higher education. The findings suggest that badges awarded for participation are valued less meaningful than skill-based badges. For skill-based badges, evidence of mastery must be associated with the badge along with the evaluation criteria. Having a clear purpose, ensuring transferability, and specifying learning objectives were noted by the interviewees as the top priorities when implementing badge offerings in higher education contexts. How can higher education institutions leverage open badges? This question brought together around 50 faculty members, instructional designers and program administrators at the ‘Digital Badges Innovation Summit’ that was held on March 27th. The event’s keynote speaker Sheryl Grant is a senior researcher on user experience at OpenWorks Group, a company that focuses on supporting educational web applications and mobile tools, including credentialing services. Prior to her current position, Dr. Grant was Director of Alternative Credentialing and Badge Research at HASTAC. She was part of the team that organized the ‘Badges for Lifelong Learning Competition’. Based on her experiences and broad expertise, Sheryl Grant had specific advice o offer for the design and implementation of digital badges. She stressed that badge systems need to be designed in a participatory manner together with the target audience who is supposed to receive them. This will allow for fair, realistic and transparent criteria. Another crucial aspect is the assessment portion: Who will make verify that the badge credentials are issued correctly? While badges can offer additional motivation, they can also diminish motivation and create a ‘race to the bottom’ if they are obtained too easily. Specifically, Dr. Grant advised to use badges to reward exceptional activities, and acknowledge students who want to go above and beyond. She also gave guidelines on when to avoid issuing badges, i.e., activities that are already graded and activities that are required. When vetting the potential of open badges for seamless learning trajectories and lifelong learners, Dr. Grant was extremely cautious to not overplay the value of badges: “It is not going to show up in the algorithmic vetting of profiles in a job search”, she stated. “You need to create the value by pulling up your badge collection during the interview, or highlighting it as part of your portfolio”, she advised. Anna Engelke from the UNC BEAM makerspace initiative talked about opportunities that badging holds for recognizing informal learning in makerspaces, and initial plans for creating a badge around 3D printing that comprises training and the completion of a project. Amanda Henley head of digital research services presented a pilot on digital badges to recognize participation in ‘R Open Labs’ workshops and the completion of R projects. Daniel Anderson project is Digital Advancement Badging ‘humanities dab’, that offers two graduate student badges on ‘digital project management’ and ‘digital pedagogy’ and an undergraduate badge on ‘data studies’. The ‘data studies’ badge is intended to create strategic inroads for the humanities into campus-wide data initiatives. Boots Quimby from the Office for Undergraduate Research talked about a pilot project that awarded the ‘SURF Badge’ to 59 students. The badge recognized the completion of a 9-week-long, funded and mentored research project. A new pilot is underway, and will recognize students for participating in the program ‘Carolina Research Scholars’ through a CSR badge. There was some discussion during the summit on where to best store digital badges, and what platforms are promising candidates for long-term projects. All current UNC badging pilots used the platform cred.ly for issuing badges. An alternative is the Mozilla Open Badge backpack follow-up Badgr. The European platform Badgecraft is another repository with a fairly broad user base. The badge wiki project offers a comprehensive list with implementation details for each platform: Badge Platforms (Badge Wiki). 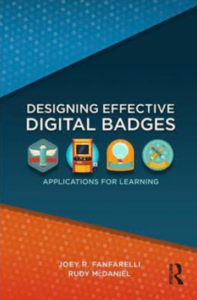 Designing Effective Digital Badges is a hands-on guide to the principles, implementation, and assessment of digital badging systems. Informed by the fundamental concepts and research-based characteristics of effective badge design, this book uses real-world examples to convey the advantages and challenges of badging and showcases its application across a variety of contexts. Researchers and professionals in education, game development, mobile app development, and beyond will find strategies for practices such as credentialing, goal-setting, and motivating their learners (available for libraries by Taylor and Francis). Carey, K. L., & Stefaniak, J. E. (2018). An Exploration of the Utility of Digital Badging in Higher Education Settings. Educational Technology Research and Development, 66(5), 1211–1229. Fanfarelli, J. R., & McDaniel, R. (2019). 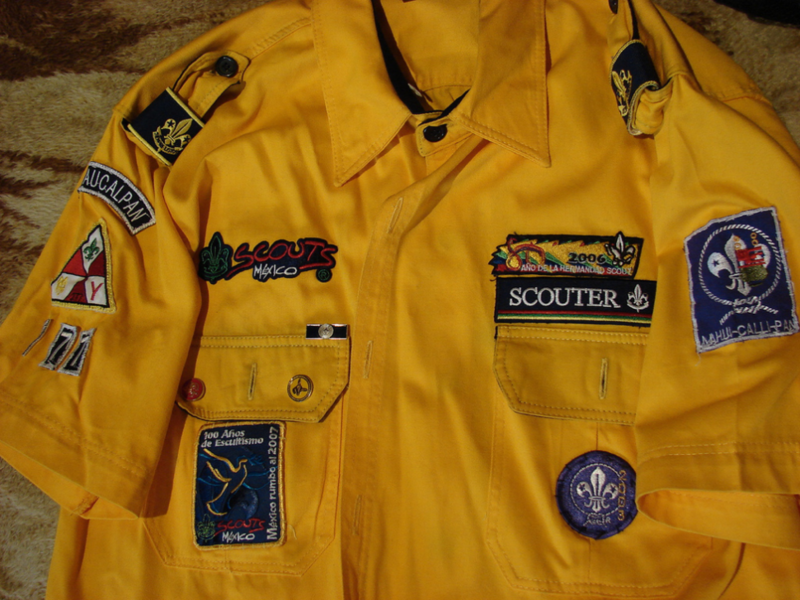 Designing Effective Digital Badges : Applications for Learning. Gibson, D., Ostashewski, N., Flintoff, K., Grant, S. & Knight, E. (2015). Digital Badges in Education. Education and Information Technologies, 20(2), 403-410.